La pianiste Ramona Borthwick replace ses compositions plutôt mainstream dans l’esprit moderne du jazz actuel d’outre-Atlantique. Elle superpose des couches musicales : voix, onomatopées, instruments sur des rythmiques à la fois latines et nord-américaines (« Garbarero », « Lotus Lake »), en y réussissant parfaitement. Très colorée, avec ses inspirations culturelles indiennes, nord et sud-américaines (surtout des atmosphères brésiliennes), le dynamisme est ici principalement du au jeu vigoureux du très batteur Ziv Ravitz. On note les interventions souvent excellentes du trompettiste au style flottant et fluide Phil Grenadier et du guitariste Noel Borthwick. 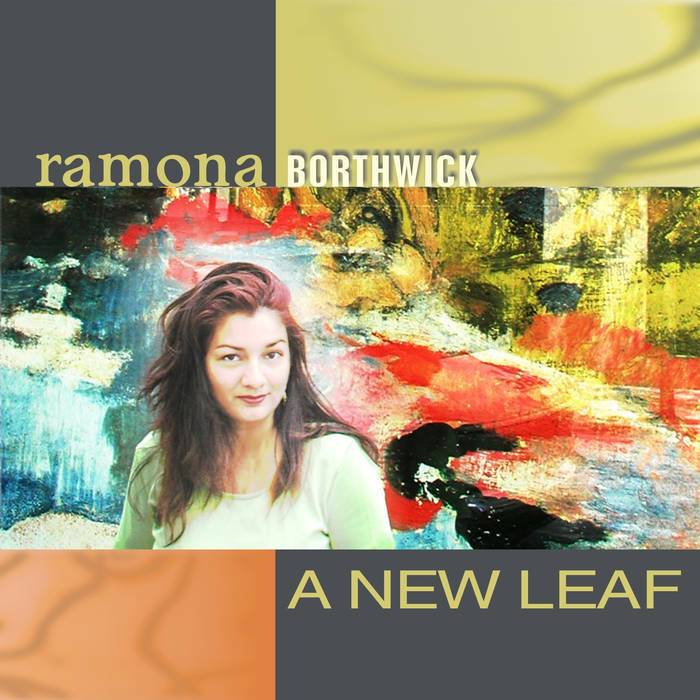 This debut CD by composer-pianist Ramona Borthwick is her first offering as a leader and, by the sounds of it, certainly won’t be her last. Her sound and the compositions are unique and the playing is flawless. Borthwick, originally from Bombay, India, and trained in classical music, comes from a family of professional musicians and her father – a professional musician and composer – introduced her to the art form. As she grew up her tastes changed and Borthwick geared herself more towards the jazzier side of music. Borthwick displays an amazing talent for composition. Each of the tracks on A New Leaf is an original composition. Her wondrous imagination shows through in her settings that she has chosen for each piece. And the music…it’s outstanding. Influences such as ECM jazz, Latin beats and touches of notes from her native India liven up each composition and creates a unique feel for each and every track. The two most impressive tracks on A New Leaf, “Two’s Complement” and “Dark Secrets of Three Blind Mice,” were co-written with Noel Borthwick. Both of these tracks are worth listening to numerous times. Her quintet, comprised of Boston and New York-based musicians is both creative and energetic, and complement her compositions perfectly. Borthwick’s fellow musicians, each with a lengthy and impressive resume, bring an individual style to the group and bring the music to a level that is rarely shown on a debut release. WATERTOWN, Mass. — Ramona Borthwick is very happy with the way 2005 worked out for her. The Mumbai-born pianist recently released her debut CD in Boston entitled “A New Leaf,” featuring original compositions rooted in the jazz tradition. Here’s a fantastic recording by pianist/singer Ramona Borthwick. All her own compositions except “Two’s Complement” which was co-written by guitarist Noel Borthwick and Noel’s own “Dark Secrets of Three Blind Mice”. All the tunes are rich, lush, and highly emotional. The musicians play beautifully together and Ramona has a feel somewhat compared to Herbie Hancock and a little Keith Jarret but her playing is very much her own. Noel’s playing is also extraordinary with a great time feel and a warm engaging sound. The vocal tracks are interesting as Esperanza Spalding (tracks 2 & 9) has a unique attack and her scatting technique is very entertaining. The recording sound itself is excellent. Bravo!